PC gamers get their first taste of Oddworld: Stranger's Wrath and Oddworld: Munch's Oddysee this holiday season, as the two former Xbox exclusives arrive on Steam as part of the four-game Oddboxx collection. While PlayStation 3 players have to wait until April for their polished version of Oddworld Inhabitants' Stranger's Wrath, PC gamers are getting the goods early in the Oddboxx. The Oddbox bundles together the entire Oddworld series in one place, including Xbox hit Munch's Oddysee and the original two games, Abe's Oddysee and Abe's Exoddus. 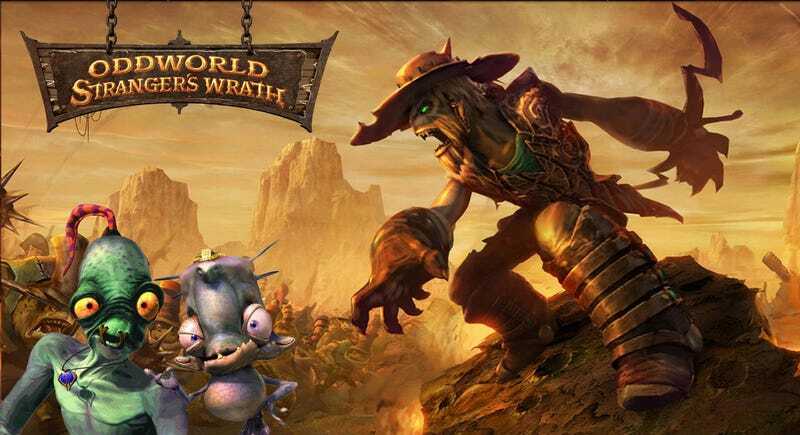 Oddworld: Stranger&apos;s Wrath Is Back! It remains to be seen if this version of Stranger's Wrath will be the same HD update that is coming to the PlayStation 3 next year or simply a straight port of the Xbox original. We know the bundle is due out this holiday season, and that more details will be forthcoming running up to the bundle's release.